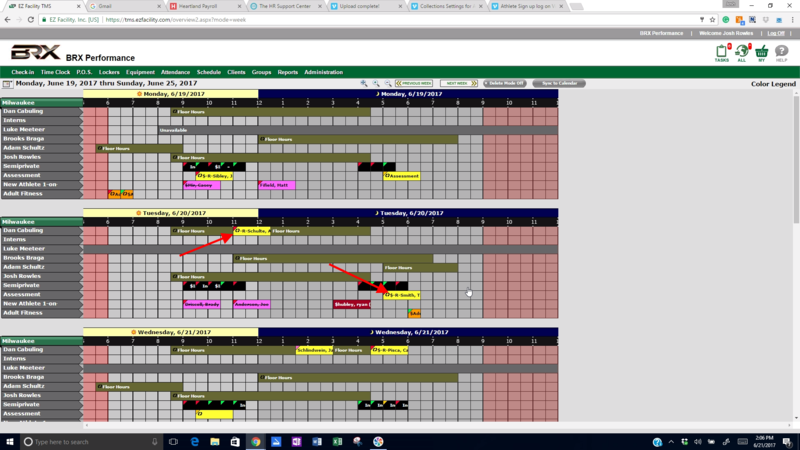 After logging in to EZFacility, go to the current day's training schedule and look up any assessments for the day. Click or hover over these names to identify the particular athlete. 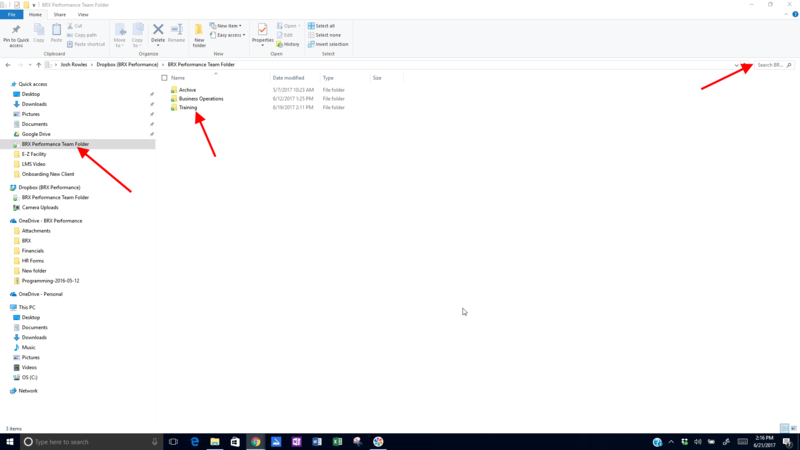 Go to Windows Explorer at the bottom of the computer. 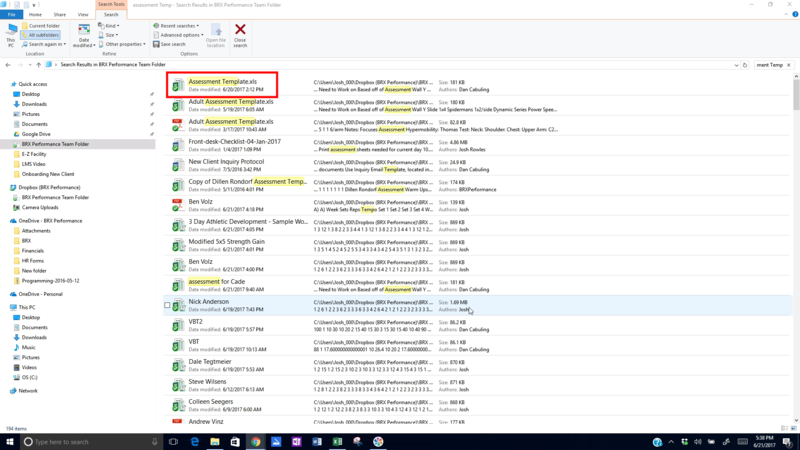 Once in Windows Explorer, click on our Dropbox Folder. Search Assessment Template using the upper right search bar. Enter in the athlete's name. If their name goes off the side of the sheet, delete the white space between the name and assessment. Make sure the name and assessment line up with the edges. If you can't get it to match up, ask for help. 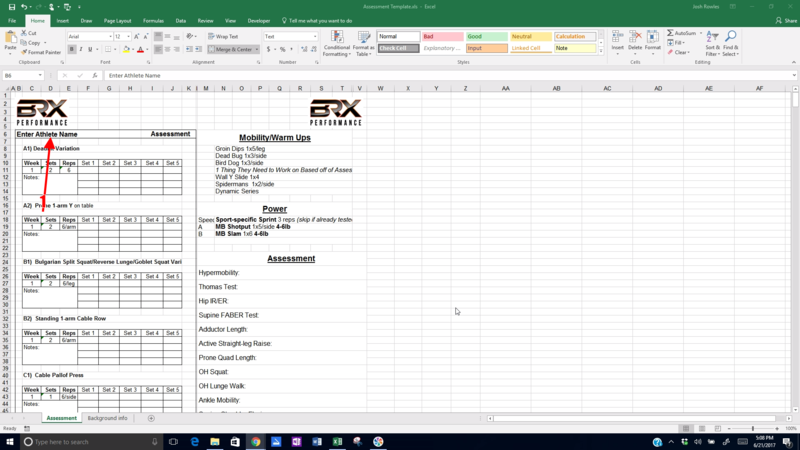 After printing tab one, we need to place the paper back into the printer with ink facing up and logos nearest to the front of the printer to print their needs analysis form. After you have printed the assessment sheet, place it in the assessment section of the filing unit near the gym entrance with a clipboard and an orange Training Video Uploading Form.